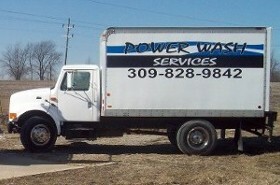 Power Wash Services cleans new construction, existing, and old basements. Dirt, mold, mildew, and accidents. 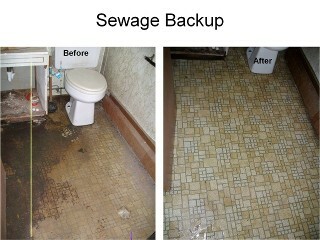 Sewer back up can be cleaned with special biodegradable cleaners, disinfectants, and/or deodorizers. 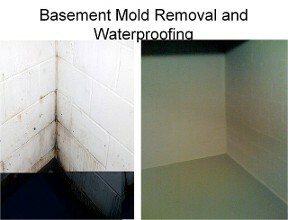 Basements are renewed and ready to use. Most basements dry in 3 hours. After the basement is dry we can tuckpoint walls. 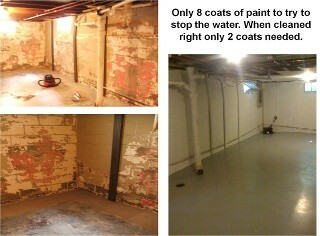 Epoxy floors and coat walls to keep water out.